Find your next vehicle at Lougheed Hyundai today! Explore the world with the confidence that comes from the Hyundai brand and the vehicles that have award-winning features and the style that stands out. 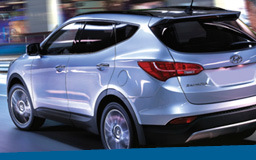 At Lougheed Hyundai we want you to find the perfect Hyundai to fit your driving style and needs. We are your local Hyundai dealer near Maple Ridge in Coquitlam, our store has the resources and the opportunities that you’re after to find the right Hyundai near Maple Ridge. Just stop by or contact us today and let our team provide you with the care and the information that helps put you into the driver’s seat of a Hyundai that will make your adventures and journeys all the more memorable and comfortable. Ergonomically designed, these cars and SUV/CUVS are built with specific intention to push the boundaries of what has become the industry norm to a place that establishes new and impressive features and potential for drivers across the world. Find out more today by joining our team at our convenient location at 1288 on the Lougheed highway in Coquitlam, BC. With the departments and the staff that aim to impress, you’re going to love your time spent with us. We guarantee it. People drive Hyundai vehicles for a reason – sometimes that reason comes down to the advanced style guide – sometimes that reason comes down to the mechanical advancements that make the vehicle line incredible and exceptional in every way. What will your reason be? Work with our experts and let’s find you the best match for your time on the road. Start with the compact lineup – and take note of the look and driving experience that has made both the Accent and Accent Sedan such well-loved and affordable options. Not your thing? No worries! Test a Elantra or Elantra GT. There’s going to be a perfect representative for your needs on the road when you choose Lougheed Hyundai. 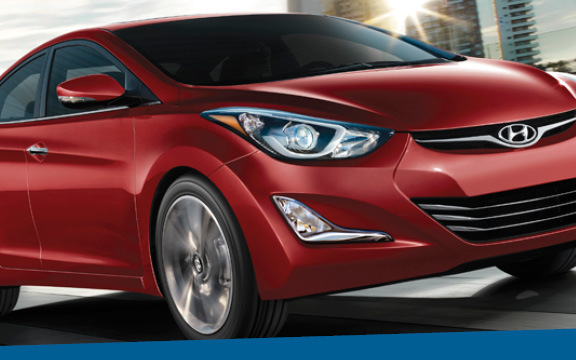 From the Veloster to the Sonata – available in standard, Hybrid, and Plug-in Hybrid models. Then – you’ll have all the options you deserve from the luxury division with the Genesis and Genesis Coupe – the crossover Tucson, Santa Fe Sport or XL, and Tucson FCEV models. You’re going to find the best possible model here at Lougheed Hyundai! 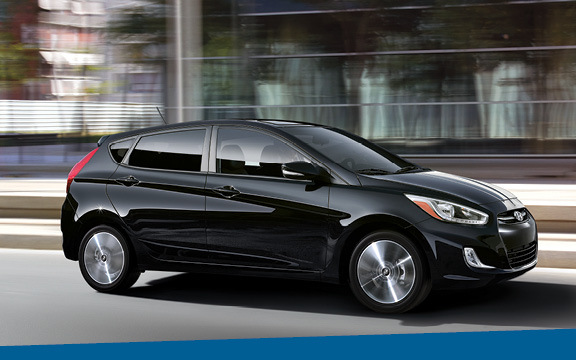 Let’s start again and point you in the direction of the Hyundai Accent. 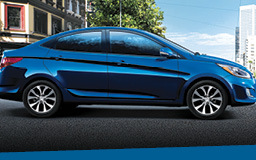 Advanced in every way, this is a car that demands respect and offers trustworthy controls to its driver. Look under the hood at the amazing 1.6-L GDI DOHC engine and then, if you’re not sold – check out the Veloster Turbo option or instance. Equipped with the impressive 1.6-L TGDI engine for 201 horsepower – Life’s even better when you drive a member of the outstanding Hyundai lineup! 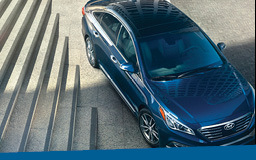 If there’s a midsize care that has the power and the practicality that you deserve – join us and test drive a Sonata! Designed to be impressive on the road – you’ll find that there’s plenty of reasons to adventure more thanks to its standard 2.4-L DOHC engine with D-CVVT. The Sonata can be optioned with the exceptional 2.0-L Nu GDI engine with a 38 kW electric motor and 6-speed automatic transmission for impressive efficiency wherever you go. Of course, you can go one step more and check out amazing Plug-in Hybrid models, too! When you think of the luxury models available on the Hyundai lineup it’s easy to appreciate the fact that all the vehicles seem to have been properly graced with a style and a look that stands out. Consider for example – the Genesis models. Exceptional. Incredible. Fantastic. These are just a few words that do them justice. With the 3.8-L GDI V6 engine at your command, you’ll move across the road with an incredible 348 horsepower. Or check out the Coupe model – which can step up the game to 5.0-L V8 with 420 horsepower. Find yours today! There are a lot of options when it comes to the crossovers available across the Hyundai segment. Take a spin in one of them today and let us know what you think – whether it’s the Tucson or you have your sights set on the Santa Fe Sport or Santa Fe XL – there’s more reason to test drive the options. Let’s get you into the driver’s seat today at Lougheed Hyundai! We want you to know that you’ve made the right decision by coming to Lougheed Hyundai for your next vehicle, service, or discussion about options and opportunities. We are proud to support a dealership that has been carefully optimized and refined over the years to provide drivers with exceptional customer service and results that truly and honestly make a positive difference in your lives. We believe in transparency and offering options that create a foundation of trust you can believe in – whether you found your next favourite vehicle – a service that put you back on the road faster and better than you could have hoped – or a discussion that led you to a choice you were happy to make – the team at Lougheed Hyundai is here to make your experience the best it can be!